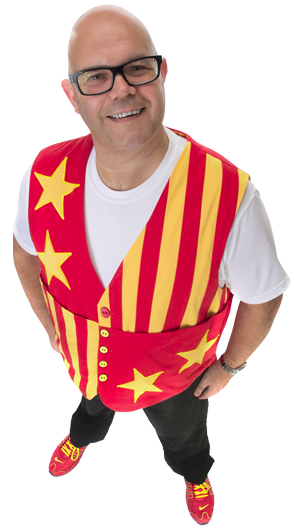 Gary Dunn is a professional children’s entertainer in Scotland… and has been for 20 years now! Originally based in the town of Berwick-upon-Tweed, Gary Dunn worked as a resident entertainer at Berwick Holiday Centre and Haggerston Castle whilst also entertaining crowds at many other Haven and Butlin’s Parks throughout the UK. Now Gary lives in Glasgow and is having a great time entertaining children of all ages as a Children’s Entertainer in Scotland. Plus lots and lots of Schools, Nurseries, and private Birthday Parties. 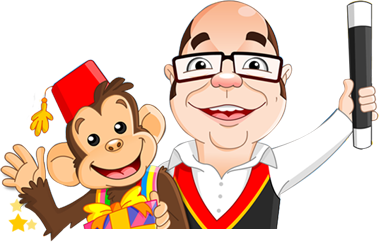 We can provide: Magicians, Clowns, Face Painters, Stilt Walkers, Balloon Modellers, Puppeteers, Strolling Entertainers and Caricaturists for kids’ parties in Scotland.